Clemens Meyer is a leading light among young German writers. Born in 1977 in what was then East Germany, his studies at the German Literature Institute, Leipzig, were interrupted by a spell in a youth detention centre. He has worked as a security guard, forklift driver and construction worker. 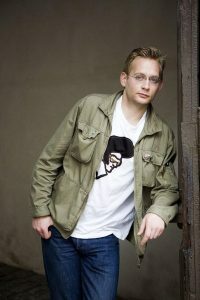 He won a number of prizes for his first novel Als wir träumten (‘While We Were Dreaming’) published in 2006, in which a group of friends grow up and go off the rails in East Germany after the fall of the Berlin Wall. 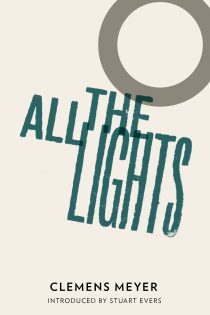 All the Lights was his second book, winning the prestigious Leipzig Book Fair Prize in 2008. In 2017, his novel Bricks and Mortar (published by Fitzcarraldo Editions) was longlisted for the Man Booker International Prize. Read more about All the Lights. ‘Of Dogs and Horses’, Katy Derbyshire’s translation of a story from All the Lights, was published in The Guardian in June 2009.